These are my all-time favorite cookies! Buttery, fruity, nutty and fabulous right out of the oven. They always turn out perfect and you can even make a gift jar out of the mix. How cool is that? 1. Layer ingredients if making in a 1 quart jar and include these instructions: Preheat oven 350 degrees. In large bowl, beat 1/2 cup butter, 1 egg and tsp. vanilla. Add entire jar to the mix. Stir until well blended. Drop by tablespoonful onto cookie sheet and bake 8-10 minutes. 1. If NOT making a gift in a jar, make like normal cookies. In large bowl, cream 1/2 cup butter and sugars together. Add 1 egg. Add 1 tsp. vanilla extract. 2. In medium bowl, whisk together flour, baking soda, and salt. Add to the wet ingredients and mix. 3. 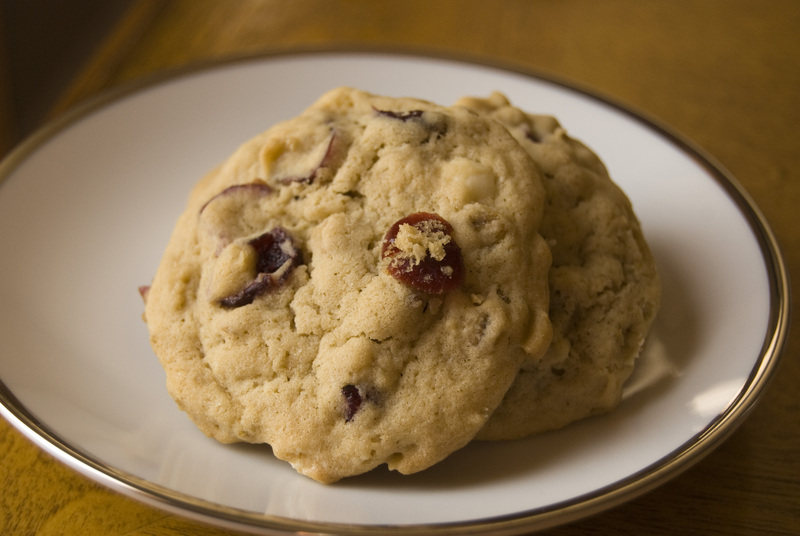 Fold in pecans, white chocolate chips and dried cranberries. Drop by 1 tablespoon on to cookie sheet. 4. Bake 8-10 minutes. Cool. Original recipe from Christmas-cookies.com, but that is a collection from other places.